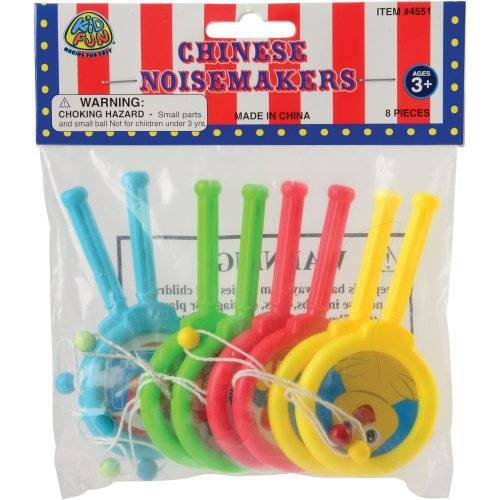 Let your young party guests make some noise with these carnival-themed Chinese noisemakers. 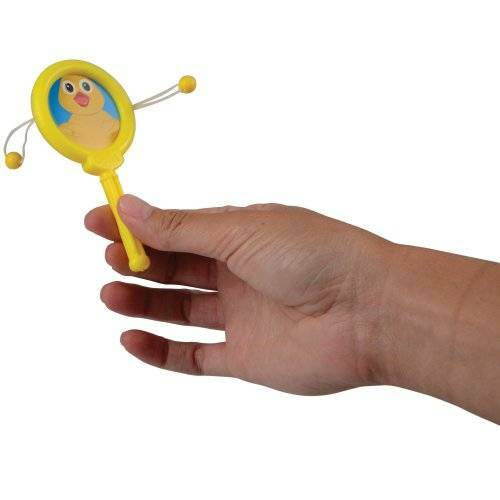 Give the handle a twist and watch as the balls ricochet off the printed carnival image, giving a sound like the beat of a small drum. 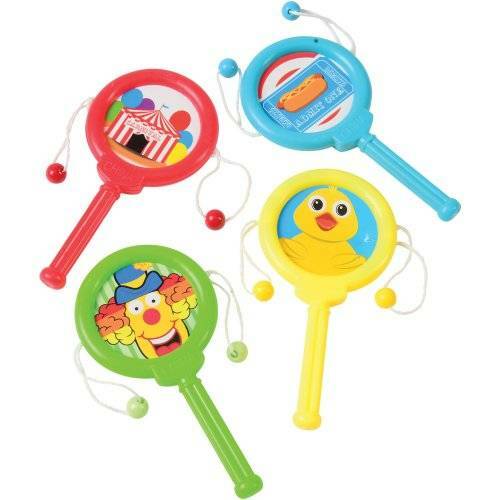 Perfectly sized for party favor bags, these noisemakers will keep kids entertained for hours!